Andy joined CMB Engineering in 2007, as part of the company’s planned expansion to the Bristol & South West region. Andy brings with him 25 years’ experience within the Building Services Industry, starting his career with Haden Young in 1984. Then on to Drake and Scull as Project Manager and NG Bailey before settling at CMB at the same time as Matthew Clarke in our Bristol office. With career roles covering all aspects of the business from initial concept, through design to project delivery, Andy has gained a wealth of experience across the broad spectrum of our profession. Honesty and integrity are strong values held by Andy which are applied to every aspect of his roles and to those that work with him. 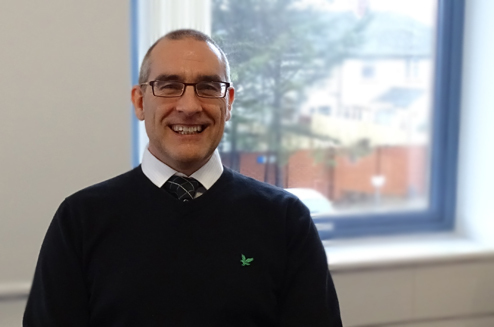 With experience gained across varying sectors of the industry Andy is well placed to offer support and deliver projects with the quality, building strong relationships and friendships along the way. Outside of work Andy has always been a keen sportsman, playing cricket and mountain biking over the years, but his main passion is football, where he had an involvement in the local scene for 30 years. This has now been replaced with the interests of his family, but he is still happy this involves the footballing attributes of his daughters!